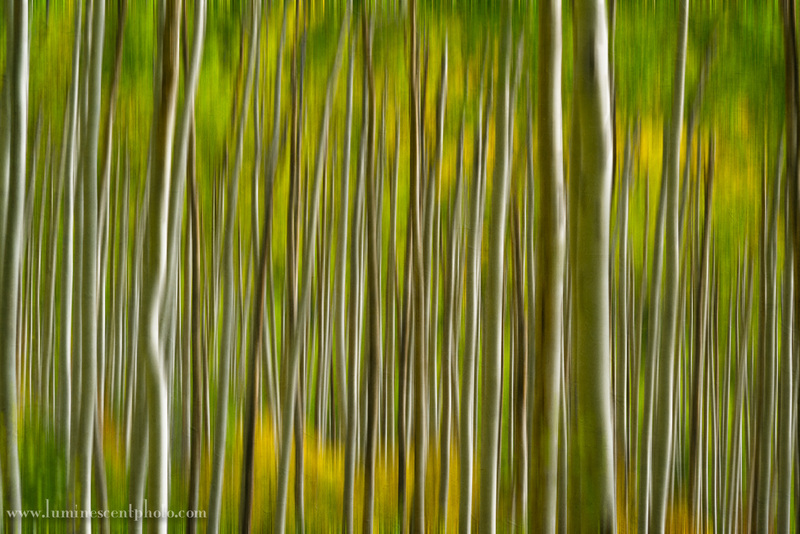 I love photographing in aspen groves. If you let yourself have time to enjoy your surroundings, it can be a very serene experience. 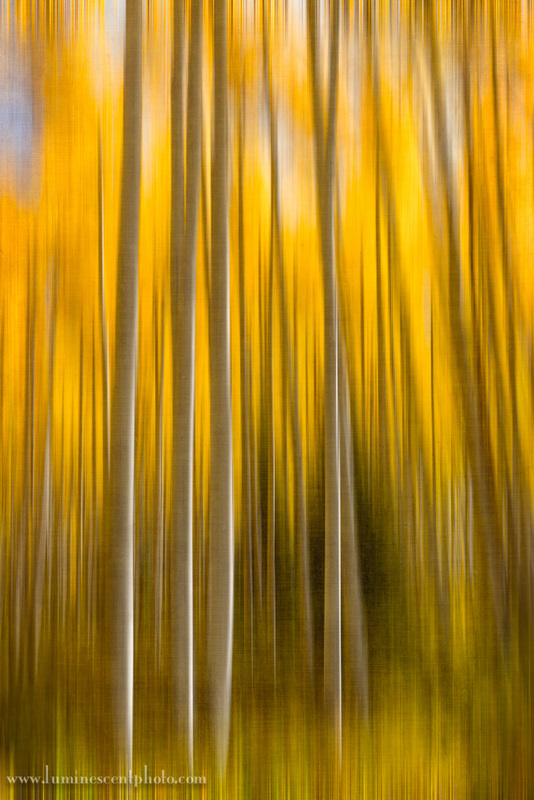 I took my clients to a couple of aspen groves during my Fall in the Rockies photo safari, and the colors were wonderful. However, the conditions don’t always lend themselves to great photographs and it can be hard to capture the feeling of the glowing trees in a photograph. 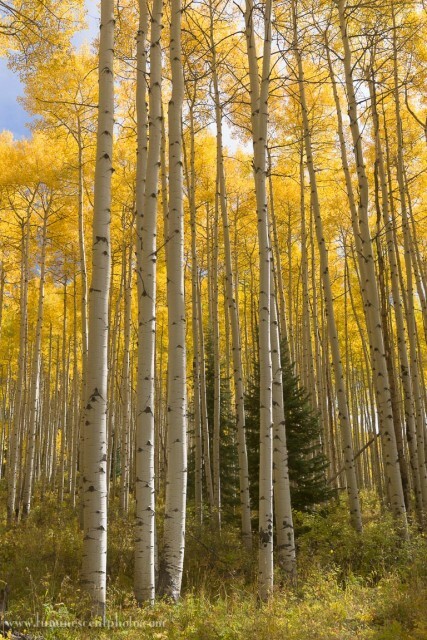 The best conditions for fall colors are overcast or partly cloudy days. However, we had clear skies and very harsh light. What to do? I liked this scene, but the photograph just doesn’t provoke much interest. Nice place, tough shot. What I do love about these trees, though is the shapes, colors, and forms, and the interplay between the light trunks and colorful leaves. 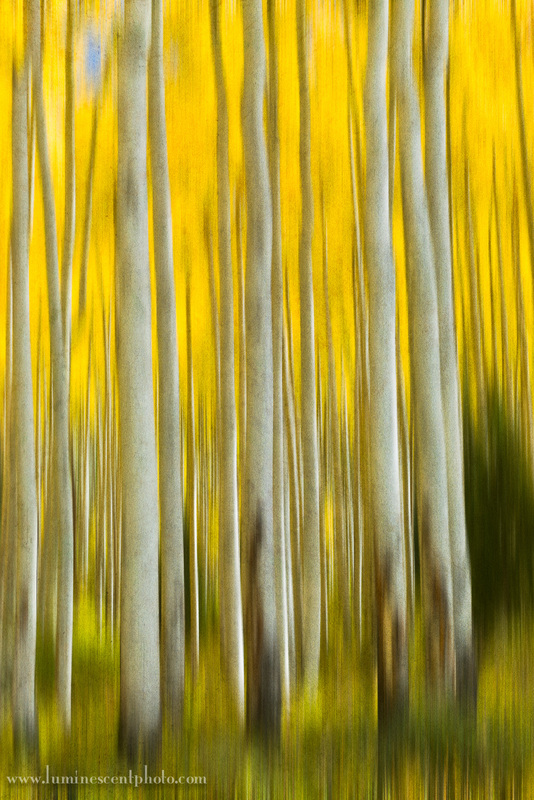 With that in mind, I decided to take a few of these images into Photoshop for a more abstract treatment. 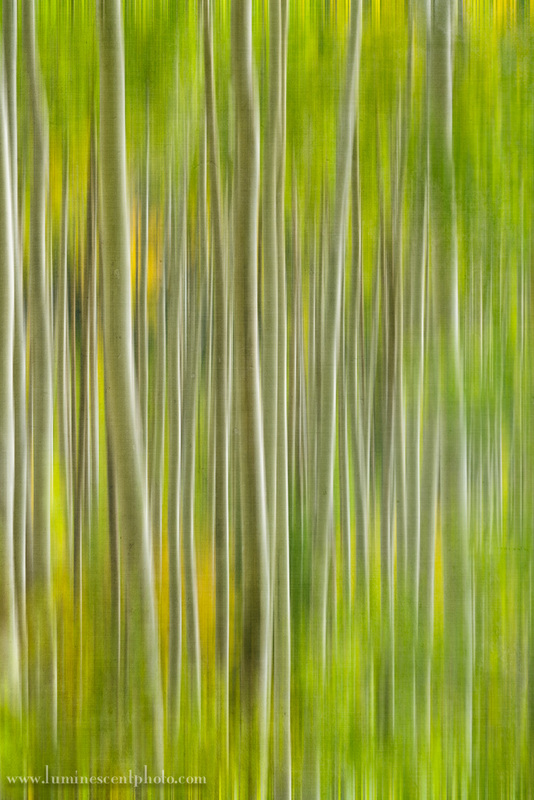 I used the Motion Blur filter in Photoshop to create an abstract image. I then used Viveza 2 to add saturation and structure to the image and enhance local contrast. Finally, I applied a Flypaper Texture to the image for a further artistic treatment. I like these images much more than the original shots! I used the Motion Blur filter in Photoshop followed by Viveza 2 and a Flypaper Texture to create this abstract image. For those who want to replicate this effect in-camera, you’ll need patience and a solid neutral-density (ND) filter. Use the ND filter to get a long exposure, then pan the camera up or down while shooting. This technique works, but it’s something you’ll need to work on to get the hang of.